Education in today’s world cannot be restricted to theoretical classroom teaching only. Working with an objective of giving a holistic approach to higher professional education and add quality to education, various activities are organized at Asian Business School throughout the year. One such recently held event was the visit of International Youth Fellowship (IYF) to our campus on the 9th October, 2018. A group of 20 Korean student delegates and professors visited Asian Business School at its Noida campus. IYF is a worldwide youth organization and international NGO to raise leaders with a global insight through youth education and activities which provides realistic solutions to problems in the global village. IYF is involved in Global Education through creative and high-quality programs, Social Voluntary Activities through worldwide and local NGO activities, International Exchange Activities through meeting with global youths and various cultural exchange and Foreign Exchange through continuous interaction with national governments. 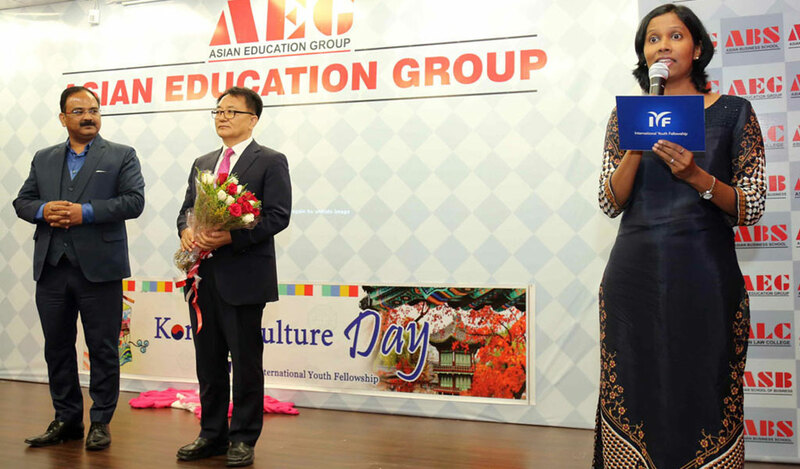 The entire day was brimmed with well-formulated activities and performances by the Korean student delegates. 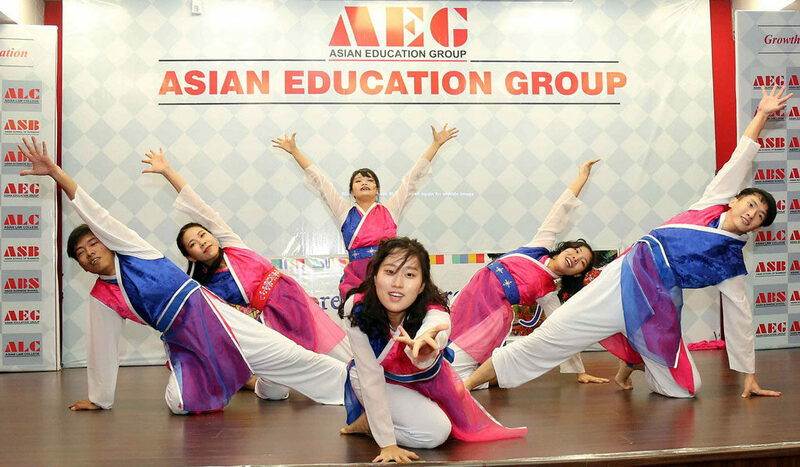 The students showcased the Korean culture, tradition, and language with spellbound performances that left the audience astonished and also facilitated an experiential learning about the Korean culture. The programme was yet another milestone in the journey of Asianites to know of knowing diverse economies, cultures and people. Professor Soo Yoen Kim, Director IYF, India also shared his views about the role of IYF as a global educator. Towards the end of the day, Dr. Lalitya Vir Srivastava, Director AEG, felicitated the key speaker Professor Soo Yoen Kim and expressed that the program provided a platform to the students for developing life skill. He added that such exchange programmes give students new experiences and help them in expanding their horizons and are an effective way to build bridges of understanding among students from different countries.